Enjoy exploring the great outdoors? 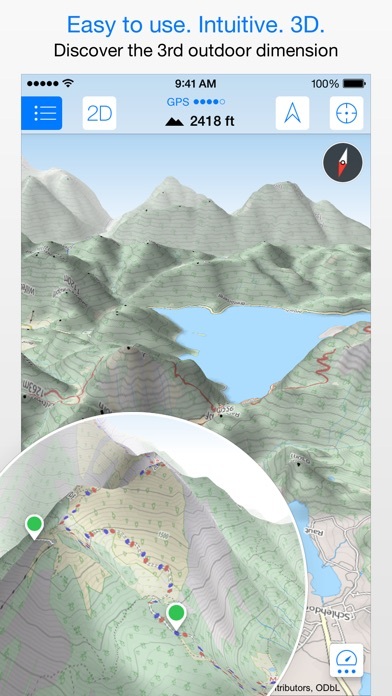 If you’re a fan of biking, hiking and running then Maps 3D is the ideal app designed for planning your outdoor adventures. 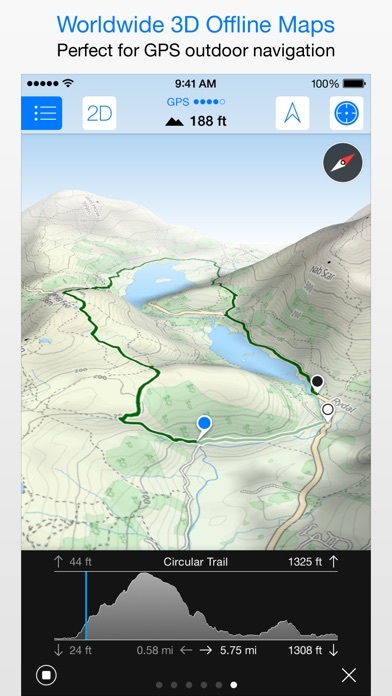 Whereas other mapping apps are primarily designed for cities and roads, displaying hills and mountains as flat and lifeless features, Maps 3D is packed with amazing features that brings the great outdoors to vibrant life with valleys, hills, mountains and footpaths displaying in full 3D so you’ll know your exact elevation. *** Featured by Apple with a main banner in the US App Store Navigation category! (02/2013) *** 3rd place at the '2013 Best App Ever Awards' by 148apps.com in 'Best Outdoors Apps' *** Over 1,700,000 global users! *** TOP 1 App in Navigation in 75+ countries (as of 01/2017) *** "The functions are helpful; the compilation of 3D maps is impressive." Macwelt.de – Score: 1.8 *** "An app recommended for hikers, cyclists and horse enthusiasts..." iPhone & iPad apps in Test Magazine, issue 3/2011 – Score: 8/10 STORE ROUTES & USE OFFLINE With Maps 3D you’ll have the option to plan, record and share your routes, turning your iPhone into a fully-fledged GPS device so you can log key coordinates and elevations. 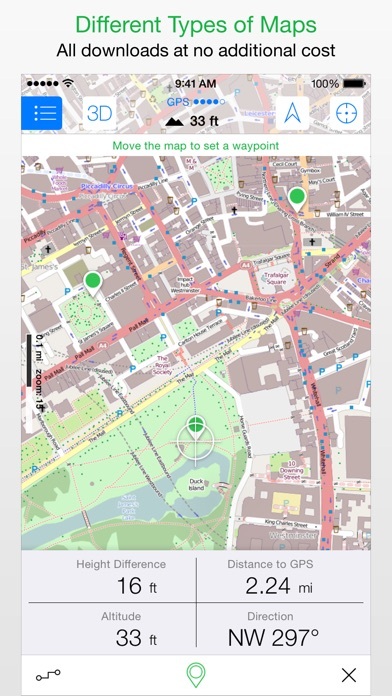 You’ll also have offline access to worldwide 3D map data which limits the drain on the battery and means that you can pre-load maps to store when you don’t have a signal. 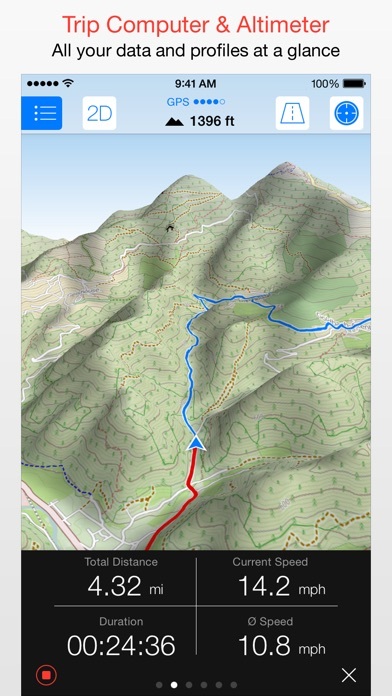 SEARCHABLE MAPS As an added bonus Maps 3D offers 3D terrain and trip planning, so you’ll never need to worry about getting lost. Towns, streets, mountain peaks and lakes are all searchable, with an accurate and precise map display based on NASA scans of the Earth’s surface combined with the outdoor map OSM (Open Street Map) and the Official USGS topo maps. 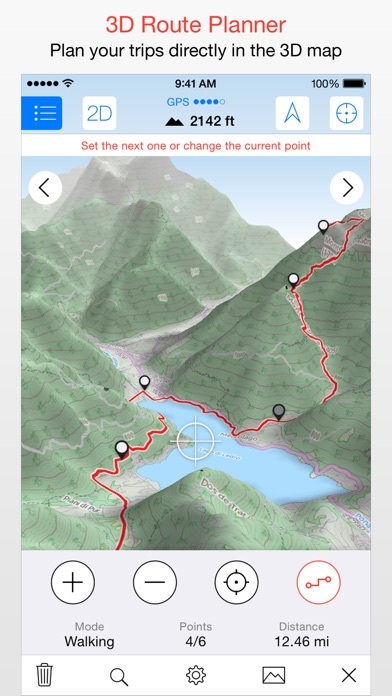 LOAD YOUR TRIPS & SHARE GPX-tracks can be imported via iTunes, email, URL or Dropbox, and recorded tracks can be shared via email, Facebook and Twitter, great for showing your friends your latest outdoor accomplishments. MORE FEATURES +++ Load maps in advance over WIFI or 4G before your trek, no internet connection needed thereafter +++ Record your routes by GPS, all coordinates and exact elevations are logged +++ Plan and evaluate routes directly in the 3D map view +++ Search for towns, streets , mountain peaks, lakes - offline +++ Distance traveled, current and average speeds all displayed for an ideal trek GENERAL / NOTES Background GPS recording can significantly cut battery life * * * * * If you like Maps 3D, please remember to leave a positive rating on iTunes! The movingworld team is working constantly to improve Maps 3D. Any suggestions? We'd love to hear them! Just e-mail them to us at [email protected] We'll try to answer you within 24 hours! Thank you for using Maps 3D!